I finished out my week at Student Link after which I only had one student to tutor. 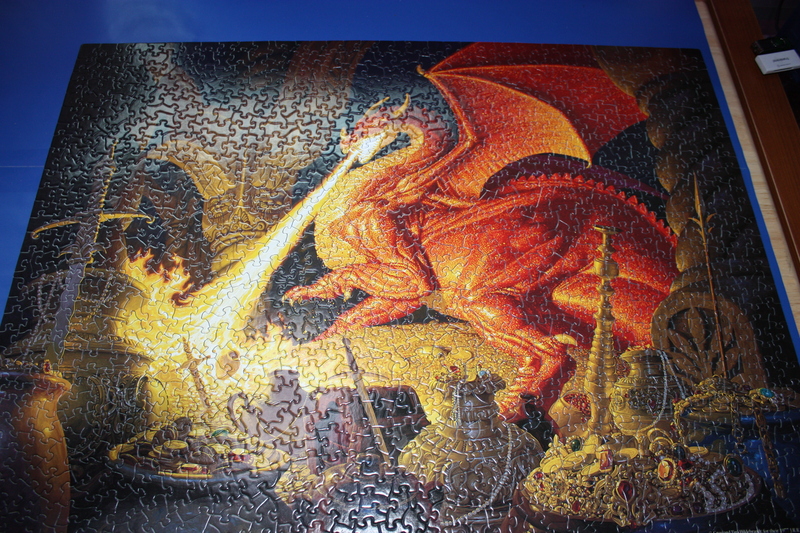 That allowed me to finish my Smaug the Dragon puzzle and start a cat puzzle. And once again, I began my day writing another chapter in my novel as part of Camp NaNoWriMo. My word count is now 5876 on day three so I am very pleased. Wow! It looks most complicated. It was tricky with so much of it being one color or so close as makes no difference, but it was fun and I saved Smaug for last! Thanks for stopping by!